Comcast is a VoIP service provider that offers a cloud-based PBX phone system known as Business VoiceEdge. Users can also opt to combine Business VoiceEdge with Business Internet service for a single-provider VoIP solution. We compiled Comcast user reviews from our website and from around the web and determined that it has a mix of positive and negative ratings. We also shared its available pricing options. Want to know the top VoIP software for small business? Read our Comcast alternatives guide. Users who recommended Comcast said that it is very functional and easy to use. They also like its efficient cloud-based calling capabilities and overall strong connection. Users who gave Comcast negative reviews said that they experience occasional service outages, which disrupt their business operations. Some of them also said that the price is higher compared to other similar service providers. A user who left a positive review on G2 Crowd said that Comcast is proven to produce good voice and call quality — ridding them of the need to use traditional phone lines. He also said that the multi-conferencing, call forwarding, transferring calls, and texting features are all useful. A user who left a negative review of Comcast on G2 Crowd complained about some glitches when utilizing the conference call feature. He also said that they often experience dropped calls in the middle of meetings which, causes unproductivity and delays. 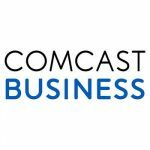 Comcast Business VoiceEdge is available in three paid plans. Rates are based on the number of seats and phones included. It costs $44.95/seat/month for 5-9 phones, $39.95/seat/month for 10-19 phones, and $34.95/seat/month for 20+ phones. Each seat comes with a Polycom 311 phone and Unified Communications features. Interested users are required to pay a one-time installation fee of $29.95/seat. Check out the list below of some of Comcast’s features. Things to Consider When Setting up VoIP Phone Service – Learn everything you need to find the best VoIP phone service provider for your business’ needs. No. There’s no mention of a free trial on Comcast’s website. Is it possible for business owners to monitor calls being handled by their staff? Yes. Through Comcast’s shared call appearance feature, business owners can view and manage lines being handled by another staff. They can monitor who’s on the phone and who’s available. There are also options to transfer calls, take messages, or pick up a call ringing on a co-worker or staff’s phone. What is the quality of calls hosted by Comcast? To ensure high quality, Comcast provides a comprehensive station review and network assessment that optimizes a user’s network before the first call is placed. They also have quality equipment installed with tested configurations known to deliver end-to-end results. Furthermore, they perform real-time monitoring to continuously track call quality and performance. This video provides an overview of how the Comcast Business VoiceEdge portal works. Not sure if Comcast is the right fit for you? Read our reviews of all top VoIP service providers.